This military-driven U.S. engagement with Africa reflects the desperation of the Bush administration to control the increasingly strategic natural resources on the African continent, especially oil, gas, and uranium. With increased competition from China, among other countries, for those resources, the United States wants above all else to strengthen its foothold in resource-rich regions of Africa. Nigeria is the fifth largest exporter of oil to the United States. The West Africa region currently provides nearly 20% of the U.S. supply of hydrocarbons, up from 15% just five years ago and well on the way to a 25 share forecast for 2015. While the Bush administration endlessly beats the drums for its “global war on terror,” the rise of AFRICOM underscores that the real interests of neoconservatives has less to do with al-Qaeda than with more access and control of extractive industries, particularly oil. Responsibility for operations on the African continent is currently divided amongthree distinct Commands: U.S. European Command, which has responsibility for nearly 43 African countries; U.S. Central Command, which has responsibility for Egypt, Sudan, Eritrea, Ethiopia, Djibouti, Somalia, and Kenya; and U.S. Pacific Command, which has responsibility for Madagascar, the Seychelles, and the countries off the coast of the Indian Ocean. Until December 2006 when the United States began to assist Ethiopia in its invasion of Somalia, all three existing Commands have maintained a relatively low-key presence, often using elite special operations forces to train, equip, and work alongside national militaries. A new Africa Command, based potentially in or near oil-rich West Africa would consolidate these existing operations while also bringing international engagement, from development to diplomacy, even more in line with U.S. military objectives. Despite these high-profile endorsements, the consolidation and expansion of U.S. military power on the African continent is misguided and could lead to disastrous outcomes. Liberia’s 26-year descent into chaos started when the Reagan administration prioritized military engagement and funneled military hardware, training, and financing to the regime of the ruthless dictator Samuel K. Doe. This military “aid,” seen as “soft power” at that time, built the machinery of repression that led to the deaths of an estimated 250,000 Liberians. Basing AFRICOM in Liberia will put Liberians at risk now and into the future. Liberia’s national threat level will dramatically increase as the country becomes a target of those interested in attacking U.S. assets. This will severely jeopardize Liberia’s national security interests while creating new problems for the country’s fragile peace and its nascent democracy. Liberia has already given the Bush administration the exclusive role of restructuring its armed forces. The private U.S. military contractor DYNCORP has been carrying out this function. After more than two years in Liberia and an estimated $800,000 budget allocated, DYNCORP has not only failed to train the 2,000 men it was contracted to train, it has also not engaged Liberia’s Legislature or its civil society in defining the nature, content, or character of the new army. DYNCORP allotted itself the prerogative to determine the number of men/women to be trained and the kind of training it would conduct, exclusively infantry training, even though Liberia had not elaborated a national security plan or developed a comprehensive military doctrine. In fact, the creation of Liberia’s new army has been the responsibility of another sovereign state, the United States, in total disregard to Liberia’s constitution, which empowers the legislature to raise the national army. 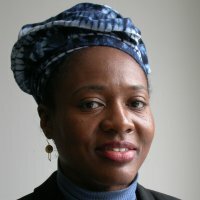 This pattern of abuse and incompetence with the U.S. military and its surrogate contractors suggests that if AFRICOM is based in Liberia, the Bush administration will have an unacceptable amount of power to dictate Liberia’s security interests and orchestrate how the country manages those interests. By placing a military base in Liberia, the United States could systematically interfere in Liberian politics in order to ensure that those who succeed in obtaining power are subservient to U.S. national security and other interests. If this is not neo-colonialism, then what is? Perhaps the South Africans will be the loudest voices on the continent in opposition to AFRICOM. Recent media reports spotlight growing tensions in U.S.-South Africa relations over AFRICOM. The U.S. ambassador to South Africa, Eric Bost, complained that South Africa’s defense minister Mosiuoa Lekota, was not responding to embassy requests to meet General Kip Ward, the recently nominated first commander of AFRICOM. The Bush administration’s new obsession with AFRICOM and its militaristic approach has many malign consequences. It increases U.S. interference in the affairs of Africa. It brings more military hardware to a continent that already has too much. By helping to build machineries of repression, these policies reinforce undemocratic practices and reward leaders responsive not to the interests or needs of their people but to the demands and dictates of U.S. military agents. Making military force a higher priority than development and diplomacy creates an imbalance that can encourage irresponsible regimes to use U.S. sourced military might to oppress their own people, now or potentially in the future. These fatally flawed policies create instability, foment tensions, and lead to a less secure world. What Africa needs least is U.S. military expansion on the continent (and elsewhere in the world). What Africa needs most is its own mechanism to respond to peacemaking priorities. Fifty years ago, Kwame Nkrumah sounded the clarion call for a “United States of Africa.” One central feature of his call was for an Africa Military High Command. Today, as the African Union deliberates continental governance, there couldn’t be a better time to reject U.S. military expansion and push forward African responses to Africa’s priorities. Long suffering the effects of militaristic “assistance” from the United States, Liberia would be the worst possible base for AFRICOM. But there are no good locations for such a poorly conceived project. Africa does not need AFRICOM. 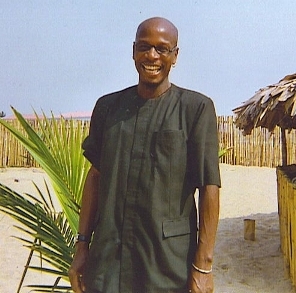 Ezekiel Pajibo is executive director of the Liberia-Based Center for Democratic Empowerment. He worked for ten years on the staff of AFJN. Emira Woods is the co-director of Foreign Policy In Focus at the Institute for Policy Studies in Washington, DC. She was born in Liberia.